A recently approved patent, owned by Boeing may be a game changer for the drone industry. The patent describes a method of recharging in mid-air using a tether. Theoretically, you could fly indefinitely. However, Boeing has not indicated if they will build the drones. According to the patent, the electrically-powered drone would have a retractable tether cable that would connect to a power source. 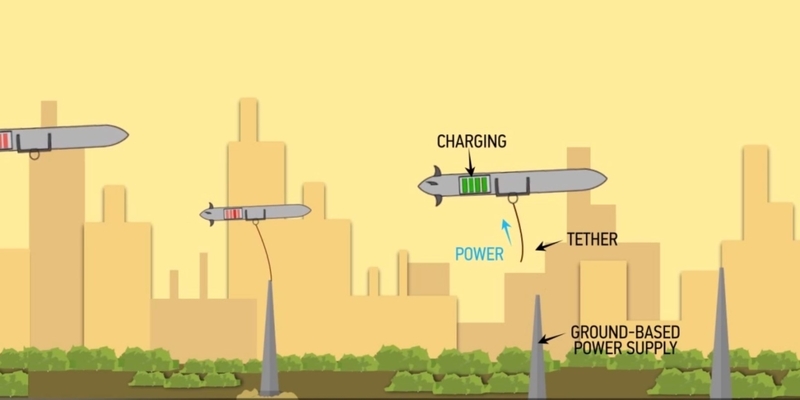 When the drone was fully charged, it would automatically fly off to continue its task, and another UAV could then take its place at the charging station.